People who fill out a Jack’s Family Restaurant application are looking to join a company that strives to give them a family atmosphere and will give them opportunities beyond an entry level position. Links to apply for jobs at Jack’s Family Restaurant are at the bottom of the page. Jack Caddell opened Jack’s Family Restaurant in 1960 as a walkup stand outside of Birmingham, Alabama. By 1965, six more locations had opened around the city. A year later, the company had grown even more and expanded into Mississippi and South Carolina. Florida Capitol purchased the company in 1970 from Caddell and aggressively opened new restaurants, going from seventeen to eighty restaurants in eight years. 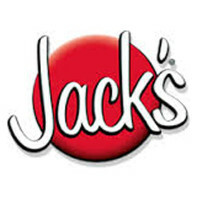 During the early 1980s, other fast food restaurants experienced massive booms in business in the Southeast, forcing several Jack’s Family Restaurant locations to close down. The company rebounded due to Benny LaRussa who owned thirteen restaurants in 1979 and bought up twenty more Jack’s Family Restaurant stores in nine years. In 1989, he purchased the franchising rights from Florida Capitol and regrew the company, getting them back up to seventy-six stores by 76. Each Jack’s Family Restaurant employs twenty-five to thirty employees. They are known for their fast food, with a focus on hamburgers, fried chicken, milkshakes, soda, and French fries. Currently, all of their stores are tightly packed in Alabama, Mississippi, Georgia, and Tennessee. Many people who hold Jack’s Family Restaurant jobs at the corporate level worked their way up from the local level. The company holds a very firm believe in promoting from within, so very few positions are open to the public at the highest levels. All of the positions that are available at the local level are scattered in the Southeastern United States as that is where most Jack’s Family Restaurant stores are open. Because the company strives to hire from within, they look for the best employees that they can at the start of the job hunt. How old do you have to be to work at Jack’s Family Restaurant? Age requirements vary by position. As you browse Jack’s Family Restaurant jobs online, make sure to read all job requirements closely as some positions require various experiences, degrees, or certifications. Those with Jack’s Family Restaurant careers do get several benefits including: meal discounts, insurance, weekly pay, and vacation time. As this company really believes in hiring from within, they offer a great training program to make sure they get the best of the best to move up. Cook – By maintaining a clean and organized kitchen that meets federal, state, and company standards, you will produce the excellent food that this company is known for in a timely manner. Compensation is around $20,000 a year. Cashier – You will greet every customer with a smile and positive attitude before taking order and making sure that it is cooked to guest specifications. As needed, you will go out and make sure the dining room is clean. Compensation is around $20,000 a year. General Manager – Making sure that you have a crew that works well together is a big part of this position as you strive to meet sales goals for the store. When you work in the main area of the restaurant, you’ll lead the team by example. Compensation is around $45,000 a year. District Manager – You’ll work with to make sure that all the stores in your area are meeting their sales goals, and if they aren’t, figuring out what the issue is while trying to fix it. You’ll travel to check on your restaurants. Compensation is around $55,000 a year. Why do you want to work at Jack’s Family Restaurant? This is an extremely common interview question, so you should be prepared for it. Talk about what drew you to the company, whether it was the company culture or benefits, and why it’s your first choice in places to work. What experience do you have? Highlight all of the relevant experience that you have. If you don’t have any, talk about what you can bring to the company and the position instead. Make sure to use plenty of examples to enhance and support your claims. Where do you see yourself in the next few years? Your interviewer wants to know if you see yourself with the company. Be realistic in your career expectations, but make sure they know that you’re willing to take on extra challenges and responsibilities in order to move up in the company. As Jack’s Family Restaurant relies heavily on customer service, you may be asked this question in the form of a hypothetical situation: How would you take care of an upset customer? Be practical and realistic as you carefully explain the steps that you would take to turn the customer’s experience around. The restaurant will experience intense rushes, so you may be asked: How do you react and work under pressure? Make sure to be honest and explain what your reaction is, if there’s something about your reaction you don’t like, make sure to talk about how you’re working on changing it. How to apply for Jack’s Family Restaurant online: first decide if you’re applying for a managerial or hourly position. After you decide, follow the proper link and complete the questionnaire that everyone who fills out a Jack’s Family Restaurant application is required to do. There is no printable application for Jack’s Family Restaurant. Before attending your interview, do research on Jack’s Family Restaurant and the industry in order to have a list of questions that you can ask. Although this seem excessive, especially for an entry level position, it will place you in front of the other candidates as it shows that you think ahead and are prepared. Have a positive and friendly attitude when you attend your interview, it will give a good impression and show that you’re customer-service minded. As your interview will be in a semi-formal setting, dress appropriately in a business casual. If you’ve applied for a managerial job, dress a suit would be the best attire. Show gratitude at the opportunity to interview with Jack’s Family Restaurant. Afterwards, make sure to inquire about the best way to check on your hiring status as few applicants will learn if they got the position during the interview because the company will want to screen all candidates before making a final decision. Penn Station Subs: For career opportunities, fill out the Penn Station Subs online application. Long John Silver’s: For employment at Long John Silver’s visit the application page. Panda Express: See this page for jobs at Panda Express. Chick fil A: See this page for jobs at Chick fil A.
Krystal: See our guide for careers at Krystal.